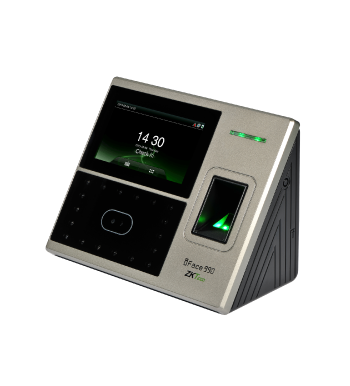 iFace950 is a Multi-Biometric T&A and Access Control Terminal which supports 3,000 face templates, 2,000 fingerprint templates and 10,000 cards (optional). 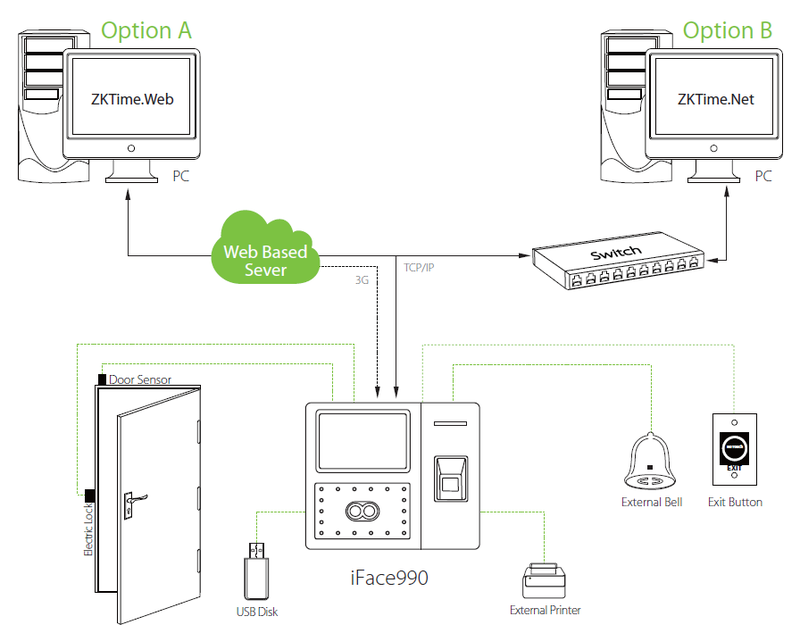 It is equipped with ZKTeco latest hardware platform and algorithm, which provide clients with a brand new UI and user-friendly operating interface, bringing them a smooth using experience. 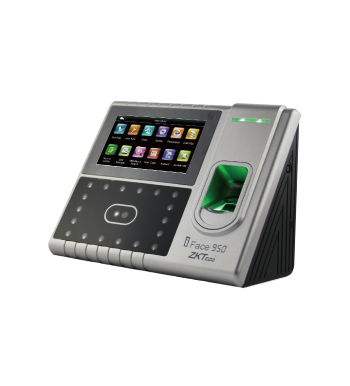 iFace990 facial multi-biometric time & attendance and access control terminal supports up to 3,000 face templates, 2,000 fingerprint templates and 10,000 cards (optional). Combines the functionality of an automatic door with the possibility of breaking-out the leaves in the direction of egress. In case of emergency, the leaves fold out by simply pushing those outwards. Recommended for the main exit doors in public buildings or in installations where occasionally a larger than usual exit is required. Can be personalised in measures, finish options and colours. Bi-part or single slide opening. Possibility of transparent or framed leaves. Combines an automatic door with a fire resistant door resulting in a single construction /architectural element. Partition feature to define areas within the building. E30 / E60 rating in accordance with EN 13501-2: 2004. The door seals flames or gas between 30 and 60 minutes / the door prevents the passage of gas or flames between 30 or 60 minutes. Both the door leaf and door frame complies with firewall properties/standards. Recommended to delineate high fire risk areas. The door is certified to current applicable standards. Fully customizable sizes (as tested), finish options and colours. Available classification ratings: APPLUS (Spain) and EFFECTIS (France) according to European Standards EN 13501-1:2004 and EN 1634-1:2000. Operator adapted to fire resistant doors. Glass authorized by classification standards. Possibility of the whole door (incl. frame) with or without fixed leaves. 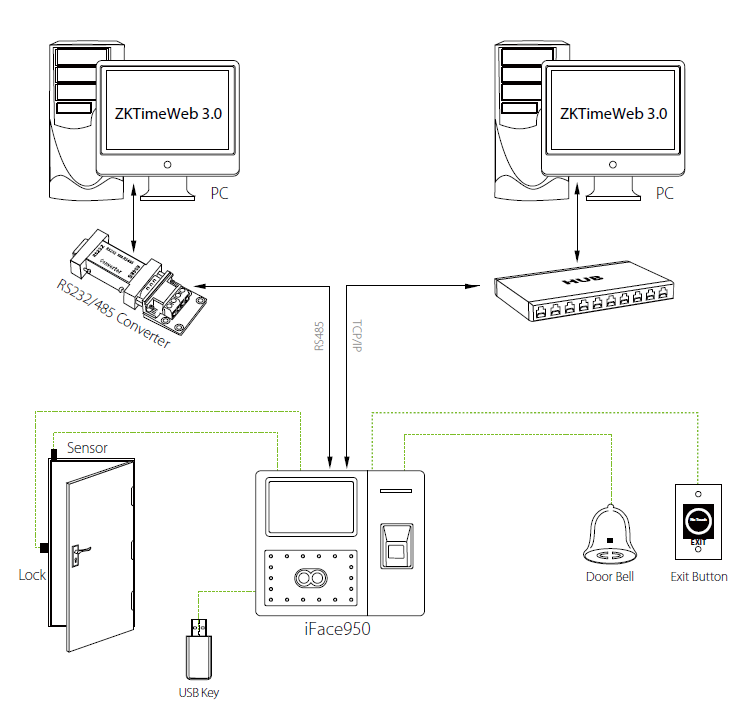 Connectable to a fire alarm system. Mechanical seal by means of counterweights.